The green trend is still going strong and buyers love seeing homes that have energy efficient solutions. This doesn’t mean you need to replace all your appliances before putting your home on the market. With warm summer months coming up fast here in the Denver area, you want your home to stay cool without blowing up the energy bill. There are a few simple projects for you to make your home more energy efficient and more appealing to buyers. You’ve probably heard this tip before, but it can make a big difference. 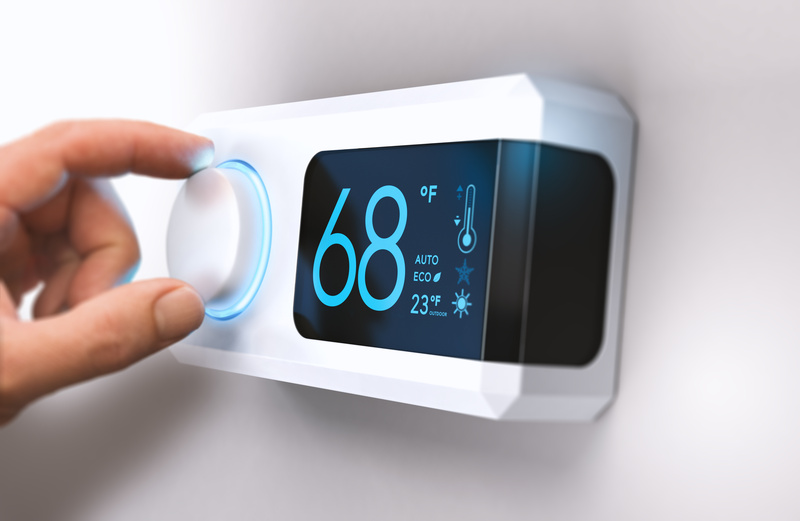 Consider replacing your thermostat with a wifi connected one to appeal to the younger generation of buyers. Even if your new thermostat isn’t wifi connected, a programmable thermostat can save a lot of money and energy and is a must-have. While you can’t make large, beautiful shade trees appear overnight, you can plant trees that will grow into shade trees. Talk to a local landscaper about what trees are best for your goals. Shade keeps houses cooler which in turn saves energy. If you choose to plant the trees yourself, keep them a good distance from the foundation so they don’t end up doing damage. Ceiling fans are some of the most underrated cooling instruments in a home. If you have overhead lights in your living room or bedrooms, switch out the light fixtures for a ceiling fan. Ceiling fans push air around the room and can help to pull hot hair up and out of the room. Ceiling fans can be a major selling point even if you have AC. Like most appliances, your AC unit needs to occasional tune-up so it can run more efficiently. Hire a local HVAC expert to give your AC unit it’s necessary tune-up. Keep your invoices so you can document to the buyers the work that’s been done. Exterior doors can allow a lot of cool air to escape outside, making your AC work harder. Something as simple as installing a rubber door seal at the bottom of each exterior door can keep your home cooler. This simple project can be completed in just a matter of minutes. While it may not be a major selling point, it will be something buyers appreciate. If you are looking for more advice to get your home ready to sell, contact us today for a listing appointment. We’re home selling experts in the Denver, Broomfield and Boulder areas.